A few months ago I published an interview I conducted with Dr. Mark Cucuzzella. 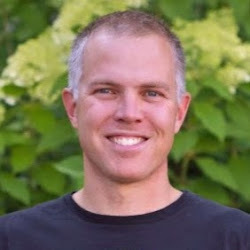 Mark is a family physician at Harpers Ferry Family Medicine in WV, an Associate Professor at West Virginia University School of Medicine, and the owner of Two Rivers (TR) Treads, the nation’s first minimalist-only running store. Like me, Mark has a strong interest in running form and minimalist footwear, and like me he is also a parent. One of the challenges we share as parents is finding shoes that we feel are suitable to put on the feet of our children. Sadly, most options available right now are simply miniature versions of adult shoes and are generally overly cushioned and not well designed for the foot of a child. Mark was kind enough to send me a few pairs of Terra Plana Vivobarefoot Kids shoes for my own children, and my daughter loves them (she has Pally’s) – they have a nice wide toebox, and are flat and extremely flexible. My son, on the other hand, is picky and will only wear Crocs or typical sneakers (though he is almost always barefoot, by his own preference, around the house) – unfortunately, good options for kids running shoes that support natural foot function are simply not available yet (things will thankfully be improving soon if rumors I hear from a big company are correct – stay tuned). Anyway, given my frustration, as well as that of a number of readers who have contacted me about this issue, I asked Mark if he would be willing to write a guest post about children and shoes. Mark happily obliged, and his expertise as both a physician and shoe store owner makes for a very informed and unique opinion on the topic. Enjoy – be sure to share your thoughts and/or experiences in the comments! As a family physician, I firmly believe that children should play in their bare feet or in activity shoes that complement natural foot development and proper biomechanics of movement. Runners, walkers, coaches, and the medical community are all awakening to the benefits of allowing proper natural foot motion to occur in all of our daily activities. Leaders in the running mechanics, sports medicine, dancing, and yoga/tai chi communities all understand that the smartest design that will ever be developed for human movement and injury free activity is the human foot itself. Running shoe companies are slowly hearing this message and adapting their product lines to create footwear that allows your foot to behave like a foot, but most have only applied this new thinking to adult models. Unfortunately, the modern shoe industry and its marketing machine effectively convince parents that when running, a child should wear miniature versions of traditional adult running shoes; almost all of which have elevated heels, extreme cushioning, and some form of motion control technology. Many dress shoes for children are also stiff and overly supportive. Personally, as a doctor I firmly believe that the strongest form of support for a child is a strong foot that is flat on the ground. Here’s an important point to keep in mind – a child’s foot is not a miniature version of an adult’s foot. In early development, a child’s foot is widest across the toes. If our population wore shoes that were designed with this functional shape from birth, most adults would also have feet with the greatest width located across the toes, and the toes would be perfectly aligned with the metatarsals (the long bones in midfoot). Most of a child’s developing foot is composed of cartilage, which is gradually replaced by bone. If the cartilage is deformed by badly shaped or rigid shoes, the bones will take on the deformed shape. More than 80% of foot problems, bunions and injuries are a result of misshaped and inflexible shoes. It’s vital that kid’s shoes allow enough room for natural growth, until the foot bones mature. This doesn’t happen until ages 18-19 for girls and 20-21 for boys. Simply put; inflexible, poorly shaped shoes are potentially harmful – they restrict the natural movement and development of the foot. Research and education efforts from places, people, and organizations like the University of Virginia SPEED Clinic, Dr. Daniel Lieberman of Harvard University, and Chi Running are together allowing runners and walkers to re-look at old concepts related to form and footwear. More importantly, innovative shoe manufacturers such as Newton Running, Terra Plana Vivo Barefoot, Vibram, Kigo and newcomers Altra and STEM are now producing foot-friendly shoes that people can use to more effectively apply new concepts in their own self-experiments. It is hard to find a single one of the now thousands of runners and walkers who have made proper changes in their gait, and complemented this with footwear void of elevated heel/motion control features, who wants to return to the old way of heel crash pads and inefficient gait. 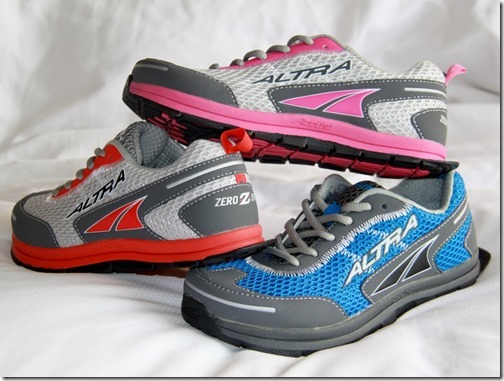 Currently, almost every running shoe company has products in development supporting natural running, and we are beginning to see the very first steps by many of them away from heavy cushioning and elevated heels. Again though, most of these new shoes are being made solely for adults. Outside of a few select brands, with Terra Plana Vivo Kids being the model (see the photo of the TP Pally to the left), a void exists in the development of proper youth footwear, where natural foot function and development are perhaps most critical. Unfortunately, the medical establishment often fails to recognize what to many seems so obvious – a child’s foot is best off when it is interfered with the least. For example, without any supporting evidence, the President of the American Academy of Podiatric Sports Medicine (AAPSM ) David Davidson made this comment when asked about children’s footwear by Running Times Magazine “Kids should not be running in minimalist footwear at all, and as in other shoes, should be wearing brand name running shoes with good motion control, cushioning, etc…” I believe the opposite. I feel children should run barefoot as much as possible, and when they need a shoe, they should wear one that allows the young foot to develop its natural strength, support, and function. Parents should think twice before heeding the message that their children need “sturdy” or “supportive” shoes. As Dr. Lieberman demonstrated so well in his landmark paper in Nature (Jan 26, 2010), footwear can have a large influence on natural gait. As a parent and physician I believe that the APMA statements could cause harm in a developing child’s foot. A foot builds its own intrinsic support via communication with the ground, building strength and stability through proprioception, and allowing normal force loads to be applied to the areas that nature intended. If you change anything from what is normal in a developing child, then you proceed at your own peril. For example, when I was a child the APMA suggested bracing as a treatment for intoeing (feet that turn inward instead of pointing straight ahead) – fortunately this practice has been banned. The results were extreme tibial rotation and for me, I wound up needing patellar tendon realignments at age 13 due to completely misaligned tibia and patellas (kneecaps)….I missed a large portion of my high school running due to this. A parent will almost always do what the experts say is best for their children, and the APMA statement that is mentioned above is one that I would challenge. Do I have studies for this….unfortunately, not good ones. Conceptual and evolutionary evidence is the best we have here. For one example, we see many high school runners with hallux valgus — “big toes pointed in.” Hallux valgus is generally caused by ill-fitting shoes with a pointed toebox. Furthermore, most runners, both young and old, cannot stabilize and balance on one foot. To run properly, you must be able to do this. The next time you are in a park, watch a child run barefoot (see video below). Notice the relaxed movement and foot placement. They lean slightly forward and their legs fall out behind them. They do not strike hard on their heels. Then watch the child with the highly cushioned or supportive shoe. The difference is easy to see. 5yo Barefoot Running in Grass from Runblogger on Vimeo. So what are the important features to look for in a child’s shoe? · Ultra-thin soles to allow proper proprioception, neuromuscular activation in the entire kinetic chain, and to complement the body’s natural ability to absorb ground forces. · Low, flat to the ground profile – shoes should allow all play activity that involves climbing, running, and jumping. Shoes should enhance lateral movement since the foot will not be up on a platform or have a slope from heel to forefoot. · The materials should be soft and supple, thereby allowing natural foot function. The shoe should bend easily at the toe joints – this is where a foot is designed to bend to recreate the arch on takeoff. See the TR Treads website on Footwear Education for more on this. · The toebox should be wide enough to allow natural toe spread (Runblogger’s note: check out this video of running toe splay on ground contact in my 5 year old daughter). Foot support is created by the natural arch of the foot with the great toe stabilizing the arch. When the heel is elevated and great toe deviated toward the second toe (a common design flaw in many shoes which come to a point), this stability is compromised. The foot produces the most leverage when the toes are straight and aligned with the metatarsals. A child’s foot is widest at the ends of the toes (as should an adult’s be if they have been in proper shoes or barefoot). · A single piece midsole/outsole allowing protection on unnatural surfaces (concrete, asphalt) and natural rough surfaces (rock,trail) while allowing proprioception and natural dissipation of ground reaction forces. · Upper material should be soft, breathable, and washable. · Get over the notion that shoes need “traction.” In a moving child the more stickiness and grip, the more heat produced in the foot and braking moments on running activity. · Discourage the use of thick, heavy socks as these interfere with foot proprioception. · All efforts should be made to use recycled materials in the construction of the shoe. 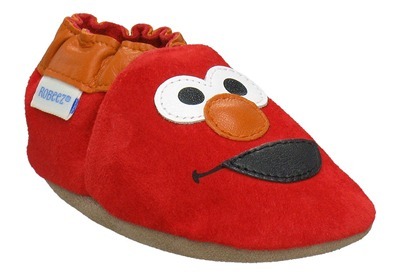 · Shoes should be a good value and of comparable price to other children’s shoes. · Design and colors should inspire fun and play. · And critical is proper fit. For tips see the Two Rivers Treads Shoe Fitting Guide in their expansive Footwear Education section. 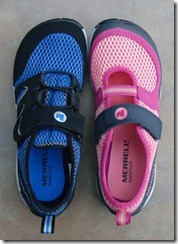 · For another great resource on children’s footwear, read this article by Dr. William Rossi DPM. Why do I care so passionately about this? The most important reason is that I am a parent and want to do what is best for my children and not be influenced by marketing claims or trends. I have been a competitive distance runner my entire life and am personally involved in multiple projects and grants involving both youth and adult physical fitness. If we can teach proper approaches to pain free activity throughout life then the daily walk or run will be sustainable. I had both of my feet operated on 10 years ago at age 33 for severe arthritis caused by a combination of improper gait mechanics, lots of hard miles as a collegiate and post collegiate runner, and the negative influence of new trends in footwear such as elevated heels and crash pads. The foot instability this created and greater impact in the great toe joint caused this joint to deteriorate. I had the joints fused in both feet and instead of taking the standard doctor’s advice of not running anymore, I chose to relearn how to run. I also got heavily involved in footwear design and function for runners and children. Read my story here on zero-drop.com. I have watched my own children dramatically change their movement patterns after discarding the heavy, inflexible “Sketchers with lights” and getting them into slip-on Vivo Barefoot kids shoes. They will not put anything else on their feet now when they need to have shoes. We gave away 180 pairs of Vivo Barefoot kids shoes at Freedom’s Run for our kids run thanks to the combined generosity of Two Rivers Treads and Terra Plana. See story….scroll down. Dozens of moms and kids have thanked me for the discovery they have made (Runblogger’s note: as do I – Mark was kind enough to send me a pair of Vivo Barefoot Kids Pally’s for my 5 year old daughter, and she and I both love them). The beauty of this field is that it is evolving rapidly, we are all discovering new things, there is no one correct answer, and as a field we are doing the needed research. My personal results as a study of one give me the authority to say that you can retrain how you move, and that footwear does have an influence. I began running barefoot at the beach when I was 12. This was the beautiful movement that I can still remember. Thirty-one years later, I finished in the top 10 for runners over age 40 at the 2010 Boston Marathon in a time of 2:34. I’ve run under 2:35 for a marathon 22 of the last 24 years, with misses only during my medical intern year and in 2009 when I ran a 2:37. My training miles are minimal now for these efforts. Knowledge and application of gait principles and use of optimal footwear allows effortless movement to occur. It’s “no pain…thank you” instead of “no pain…no gain”. Footwear designers are a critical part of the future of preventive sports medicine, and they need to start thinking more about our children. · Journal of Family Practice review of functional flat feet in children….this is NOT a disease needing treatment. Very interesting reading! This is a tough one for parents- it’s hard enough to keep 4 kids in shoes, let alone finding good quality ones that will allow their feet to grow/ function properly. There are some places that we can cut corners to save $, but I think shoes aren’t one of them. Thank goodness my kids like going barefoot as much as possible! Thanks for posting! I’ll share this for sure. Also, Hanna Anderson makes “Swedish moccasins” which are basically socks with a light leather sole. They are perfect for the winter and if it’s cold indoors. Hopefully I can keep baby Ranger in them until he starts school! I just forwarded this to my fiancee – she’s a kindergarten teacher and always recognizes when her students are wearing ridiculous shoes (cowboy boots with 2 inch heels and a super narrow toe box…for a 5 year old?). It makes me happy I spent every summer barefoot at the beach almost every day! Thanks for this, Pete and Mark – this is especially timely for me since I’m currently shopping for kids shoes for some upcoming family hikes. I love the Terra Plana models as well, but my two oldest are too big for their kids lines, and I can’t shell out for the adult models just yet. 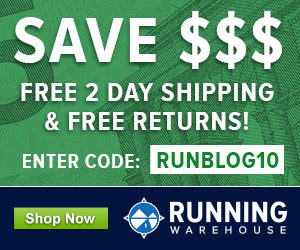 I’ll probably use XC flats as a close (and affordable) alternative, but it would be great to see the bigger companies jump into this market like they have with running shoes. Stay tuned for more athletic running kids shoes that are minimalist. Brooks Mach 11 spikeless is great and goes down to 6. 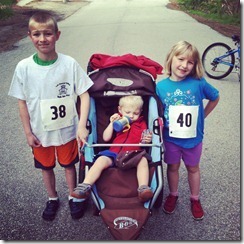 I run in the Edge and they are sized and colored so that a child down to a 4 or 5 can fit them. Kigo in smaller sizes are really nice and affordable. Sockwas run really small and under 40 dollars. Call our store and we can get something to you at a good value 304-876-1100. Thanks so much for this info. I actually sell children’s shoes for a living and knew much of this information, but parents are always asking for information to back up what I recommend. more likely weaken rather than strengthen the foot. You can drop by your nearest store and ask assistance to measure you child’s feet. A metal foot measuring device can precisely verify the length and width of your son’s feet. Thanks! Parents are always faced with the tough task to buy their children shoes from the comfort of their home. With the numerous array of kids shoes available in the online market, deciding on the proper shoes can be an uphill task. All kids grow up and a change of shoes is a must. I chose the proper shoes which have allowance in their sizes. Needless to state, parental awareness is important even in a process such as the selection of kids shoes. Kids are unlikely to be aware of what is best for them. Shoes is a beg matter especially to kids. They should be comfortable because if not, it can give them sprains or fractures. Children are very conscious when it comes to what they wear regarding their shoes which must fit comfortably to their feet. Their choice of shoes must go properly to their ways especially when playing. Parents should be aware with what their child wears from head to toe. I learned from your blog that the structure of shoes affects the foot shape of a child which is very destructive to the normal movement and growth of foot. When buying shoes for kids always remember these things. First, choose the one right size for them, not so small not so big, just the right fit. Second, choose that one that will last for a longer time. Third, choose the one that has cute and adorable design which is appropriate at their age. And Last, choose the one that is affordable.Be practical! It’s a shame that we know how good barefoot shoes are, but no one makes them for young toddlers. I can’t find a size 23 or 24 anywhere for my 18 month old. Do we only get to give them safe shoes when they turn 3? How about the canvas shoes? They are durable, light and designed just for kids. Specially some of the European brands. My kids wear Befado. See http://www.ktzshoes.com where I purchased them lately. The Befado shoes are specially designed to promote healthy foot development for little kids. They were awarded with the Healthy Foot certificate. In trying to keep with natural foot development, what would be the recommendation for the child whose flat feet are causing pain and improper development of he knees? We were told to buy shoes with a strong arch. If there is a diagnosed pathology that is causing pain and abnormal development, probably best to listen to the doc. Wow! Thanks for this!!!! I recently bought shoes for my boys (5 and 7) that were just a cheap afterthought. I have always purchased shoes for their appearance in the past, and asked the kids if it felt okay. We are planning a Disney trip, so I wanted new shoes for me and then thought of them. This article has opened my eyes, and I will be shopping WAY different in the future! I’m going to read your blog articles now! Thank you for caring about our children and our wellness, God bless! Nice shoes, just not very affordable. Considering how fast toddler and kids feet grow the price doesn’t make them great. I’d like to add to something extra to this topic. You’ve probably never noticed but all small children can squat (sometimes called the Indian Squat) most effectively. It is VITAL that we as parents make sure they do this activity every day — it is unnatural to sit in chairs. Those who can squat effectively (meaning no pressure on the knees whatsoever) are giving themselves the most beneficial stretch of all time. In turn, this staves off injury in later life like nothing on earth. Hey thanks a lot for sharing this post. I have been using baby walking shoes since a long time and it helpful to my daughter. keep sharing this stuff. My kids all wear only European shoes since they are top quality with good arch support, leather, flexible soles. None of them have any feet issues and they are not pigeon toed, flat footed or have collapsed ankles. Just from the day they started walking I always made sure they had good shoes. This is how I was raised in Europe and I remember all the kids had good shoes on. Well, here in USA is a different story. I see in my daughters school kids in 1st grade with literally deformed feet. They were not born with such feet – they simply got deformed due to low quality shoes they wear. In Europe shoes are viewed as developmental need so money is spent on shoes for kids. (good shoes in Europe always cost money) Basic philosophy is the type of shoes you have as a child – this is how your feet will develop. I buy shoes in Europe when I am there plus from few sites that sell truly European shoes, – kingashoes.com this one is the best in my opinion and the brands/shoes they sell are in fact made in Europe. Always check the tags and inside of the shoe – it will tell you where is made. It have to be made in given country in Europe, then they are top quality.